1 Bedroom Flat For Sale in Maidenhead, Berkshire for Asking Price £200,000. These high spec apartments have been thoughtfully designed to meet the needs and demands of modern day living with carefully planned contemporary kitchens, spacious shower rooms and gas fired central heating providing affordable living in a lovely setting. Each apartment will benefit from an entry phone system for added security and convenience and there is also a li providing easy access to the first and second floors of the building. 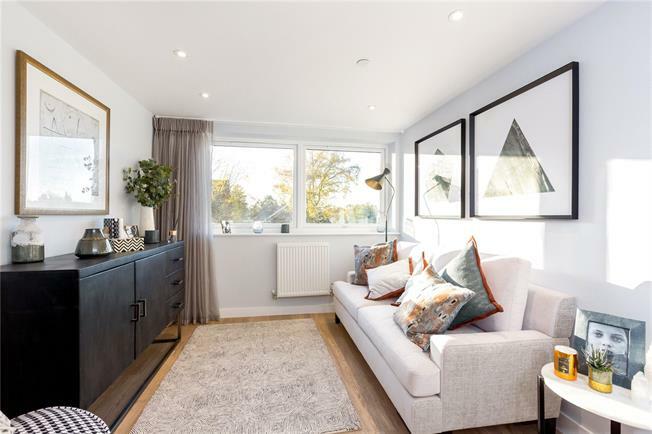 A short walk from the natural beauty of the River Thames and the popular Boulters Lock area of Maidenhead this development is close to the A4 Bath Road with road links to M4/M40 with Heathrow under a 20 minute drive away. Lennox House is positioned conveniently just a mile from Maidenhead Station which is soon to benefit from Crossrail in 2019 providing direct train link to Central London, West End and Canary Wharf. Currently the existing high speed train link is providing direct services to Paddington in 19 minutes & Reading within 17 minutes. Sporting facilities are varied with golf at Temple, Stoke Park, Burnham Beeches and Beaconsfield. Sailing is available at Upper Thames Sailing Club, Bourne End and also at Cookham Reach Sailing Club and there is racing available at Windsor, Ascot and Newbury. In addition there is a wide variety of cultural events at Cliveden National Trust, The Swan Theatre in High Wycombe and the Theatre Royal in Windsor.